Earlier this week, ShapeShift.io announced its latest move; the exchange integrated Tether into its platform. This addition enables access to fiat currency for the platform users. Tether is the first blockchain-enabled platform that allows fiat currency to be used like digital cash. Tether digital cash is a token working on top of the blockchain and backed by fiat currency. By combining Bitcoin’s instant transactions with a fiat-pegged token, Tether hopes that its currency will have the convenience of Bitcoin minus the price volatility. 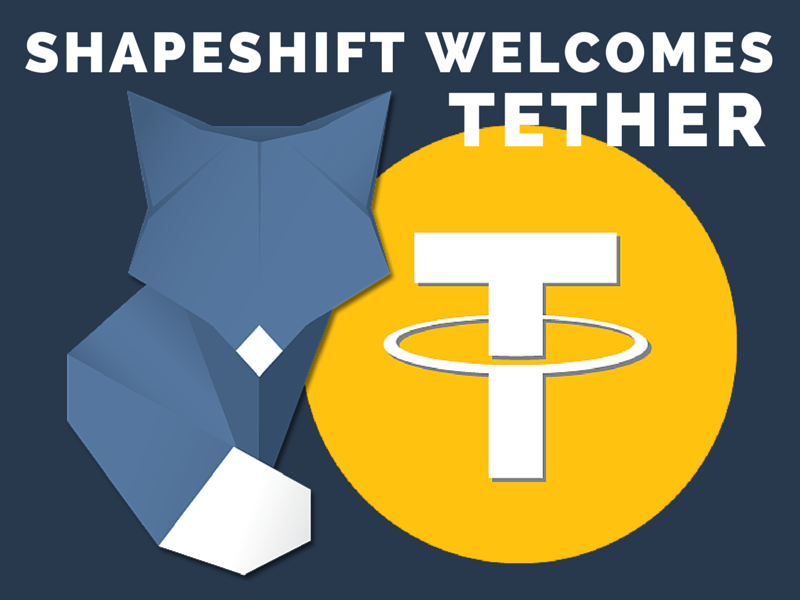 Besides the integration of Tether USD₮, ShapeShift is “excited to begin Tether integration with . . . all the new currency tether tokens in the future,” such as EUR₮ and JPY₮. Users will also be able to exchange Tether with all of the ShapeShift-supported cryptocurrencies. As the digital currency ecosystem continues to grow, integration between platforms is accelerating. ShapeShift.io has risen quickly as one of the most popular ways to buy or sell cryptocurrencies. ShapeShift’s innovation is to operate more like a vending machine, in which a customer instantly deposits one coin and receives another one, with no significant period of trust or custodianship required. By offering conversion services without the need for user accounts or deposits, ShapeShift’s model is the first of its kind. Will you use ShapeShift to buy and sell Tether? Let us know in the comments below!